Aysegül Koca was born in Ankara, Turkey. She started to play guitar at the age of 8. At just 12, she was admitted to Bilkent University Music Preparatory School Department of Classical Guitar ­the most prestigious conservatory in Turkey­ with scholarship, and studied with Kürsad Terci and Kagan Korad until she graduates high school. In a short period of time, she accomplished a huge progress in her technique and performance, and gave many concerts and soon achieved successes at numerous guitar competitions such as José Tomas Guitar Competition in 2007 Almería­Spain (First Prize), Eduard Pamfil Young Guitarists Competition in 2005 in Romania (First Prize and Special Jury Award), National Mavi Marti Guitar Competition in 2006 Istanbul,Turkey (First Prize), National Inonu University Guitar Competition in 2008 in Turkey (Second Prize), Enrico Mercatali Guitar Competition in 2009 in Italy (Second Prize and Special Public Award). She was only 19 when she held Bachelor’s Degree which she obtained from the Conservatorium Maastricht in the Netherlands, under supervision of Carlo Marchione. Afterwards, she was accepted to the class of renowned guitarist Aniello Desiderio at Koblenz Guitar Academy in Germany where she received Postgraduate degree. Finally, she graduated with a Master’s Degree at Kunstuniversität Graz in Austria where she studied with Paolo Pegoraro. During her studies, she attended master classes held by the most prominent guitarists of today, such as: David Russell, Pavel Steidl, Roland Dyens, Egberto Gismonti, Marco Socias, Tilman Hoppstock among others. Antonio Lauro Guitar Biennial-Turkey (2004), ASEG Guitar Meeting-Greece (2005), Turkey Guitar Meeting (2006,2010,2012,2016,2018), Julian Arcas Guitar Festival Almeria-Spain (2008), Klasik Keyifler Ensemble Festival-Turkey (2011), ODTU Guitar Festival-Turkey (2013,2015,2017), International Guitar Week Graz-Austria (2014), CRR Guitar Festival Istanbul-Turkey 2015, International Guitar Festival EBAUABJO Oaxaca-Mexico (2015,2016), Bilkent’s 30th Anniversary Festival-Turkey (2016), Gumusluk Guitar Festival Bodrum-Turkey (2016), BUAP Guitar Festival Puebla-Mexico (2016), Taxco Guitar Festival-Mexico (2017), Paracho Guitar Festival-Mexico (2017), La Guitarra Hoy-Mexico (2017), Acerra Guitar Meetings-Naples Italy (2017), North Cyprus International Music Festival (2017), Guitar Camera Celaya Festival–Mexico (2017), Queretaro Guitar Meeting–Mexico (2017), Istanbul Guitar Festival-Turkey (2018). In addition, Ms. Koca appeared on many radio and TV programs by interviewing and playing, such as National Public Radio of Turkey, Radio ODTU (Ankara), National Television of Serbia, Radio Helsinki (Graz), BravaNL TV channel (cooperated with Gitaarsalon) in the Netherlands, Periodico el Imparcial, COR TV, Radio Oaxaqueña in Mexico. Ms. Koca also has been invited to perform “Concierto de Aranjuez” by Joaquin Rodrigo with “Staatsorchester Rheinische Philharmonie” directed by Francesco Angela in 2010 in Germany, “Antalya State Symphony Orchestra” directed by Antonio Pirolli in 2012 in Turkey, “Xalapa Guitar Orchestra” directed by Alfonso Moreno in 2016 in Mexico and additionally she performed with them “Concierto del Sur” by Manuel Ponce in Teatro Macedonio Alcala which is one of the most important and historic halls in Mexico. A year after, this concerto was performed by her together with Silvestre Revueltas Youth Symphony Orchestra conducted by Jesus Almanez Casillo in Celaya, Mexico. The same year, Aysegul Koca played Turkey premiere of Concierto Madrigal by Joaquin Rodrigo with Bursa Region State Symphony Orchestra conducted by Gints Glinka. In 2018, Ms. Koca released a live album collabrated with Orchestra Academic Baskent and conducted by Ertug Korkmaz. 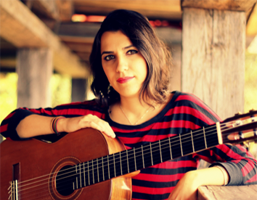 In 2016, Ms. Koca was invited to the Benito Juárez Autonomous University of Oaxaca in Mexico to teach and worked for one semester as a professor of classical guitar. She is currently pursuing her doctorate degree at Mimar Sinan Fine Arts University in Istanbul and is invited regularly to various national and international festivals, to lead masterclasses as well as being a jury member at competitions. 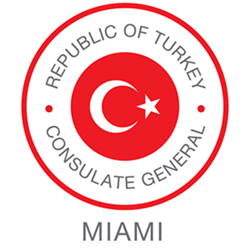 Aysegül Koca’s participation is co-sponsored by the Turkish Airlines, Turkish Consulate General in Miami, and FIU Center for Women’s and Gender Studies.